The Ballydoyle-trained IMPERIAL MONARCH became eighth Group 1 winner in 2012 from Book 1 of the Tattersalls October Yearling Sale when taking out the Group 1 Juddmonte Grand Prix de Paris at Longchamp on Saturday evening. By GALILEO out of the SLIP ANCHOR mare IONIAN SEA, IMPERIAL MONARCH was consigned to Book 1 of the 2010 Tattersalls October Yearling Sale by Anthony and Maryann Penfold’s Bugley Stud and knocked down to Kern/Lillingston for 210,000 guineas. Bred by Grange Stud’s David Magnier and Cobra Bloodstock, IMPERIAL MONARCH’s win capped a great day for his dam IONIAN SEA after her five-year-old son MOUNT ATHOS ran out an impressive winner of the Listed Silver Cup at York. MOUNT ATHOS was bought by agent Stephen Hillen for 190,000 guineas at the 2010 Tattersalls Autumn Horses in Training Sale on behalf of owner Dr Marwan Koukash, and the son of MONTJEU now looks a serious contender for the Melbourne Cup. Book 1 of the Tattersalls October Yearling Sale has been responsible for the winners of six of the seven British and Irish Classics in 2012 with CAMELOT (525,000 guineas) winning the 2,000 Guineas, Derby and Irish Derby, WAS (1,200,000 guineas) winning the Oaks, SAMITAR (39,000 guineas) successful in the Irish 1,000 Guineas, and POWER (50,000 guineas) winning the Irish 2,000 Guineas. The older horses from the sale that have won at the highest level in 2012 include the Group 1 Coronation Cup winner ST NICHOLAS ABBEY, the Gold Cup winner COLOUR VISION and EUROPA POINT, a two-time Group 1 winner in South Africa. The sale takes place from October 10th – 12th and catalogues will be available from mid-August. 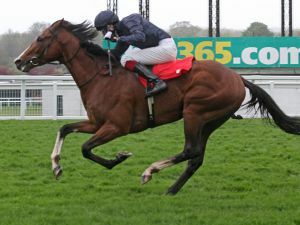 Interested parties can order a catalogue online now at www.tattersalls-millions.com.